In our 3 days tour in Hong Kong, we visited an island of Tung Ping Chau last Sunday. This island has No. 1 rock formation in Hong Kong, and it is listed in National Global Geopark of China. 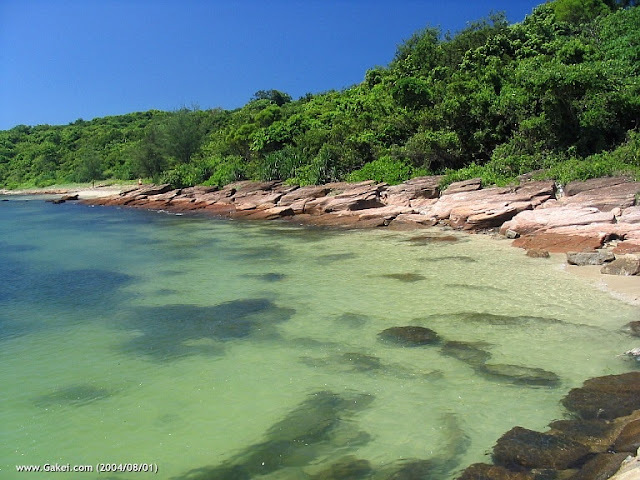 Tung Ping Chau is the easternmost outlying island of Hong Kong. The island is isolated from central Hong Kong, it can be only reached by ferry boat, and ferry is only available on Saturday and Sunday. 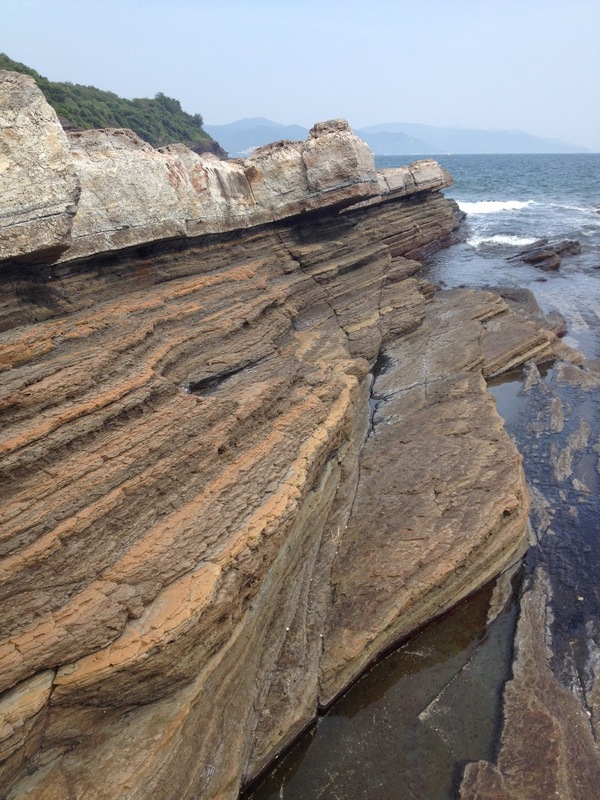 Overlapping shales and the finer-grained mudstone layers have clear lamination and sophisticated structure. Vivid color of shale looks like a huge book. 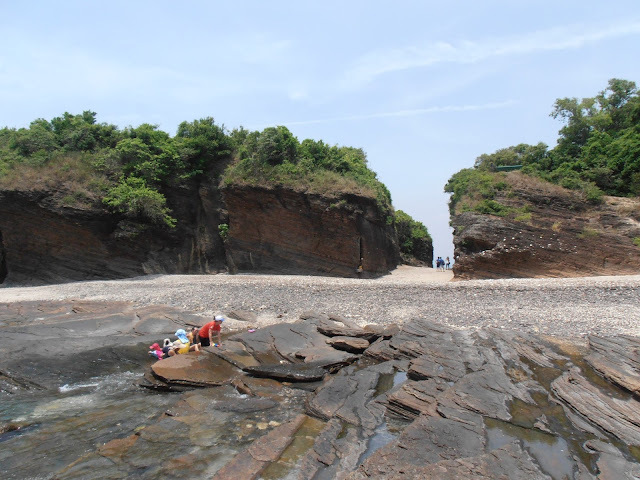 The cliff on the right was once a part of the Tung Ping Chau island. Tung Ping Chau has the best snorkeling area in Hong Kong. 13-years old Bruno had a good time here. We took MTR to University station, walk 15 minute from exit B, follow the biking trail to seashore, arrived at Ma Liu Shui Ferry Pier. The ferry leaves at 09:00 am, tickets are sold from 08:30 am. You'd better be there before 08:30 am. We saw people keeping on coming until 9 am! And there was only one ferry on that Sunday. Many people had to giveup this trip to Tung Ping Chau eventually. Two ways tickets are required to be bought, HKD90 for round trips. 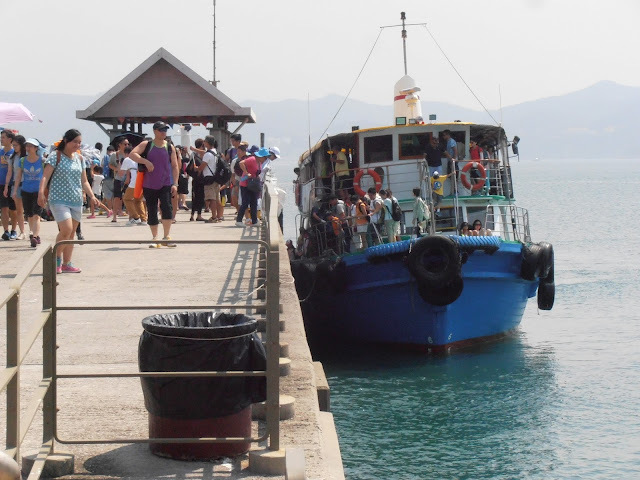 The ferry leaves Tung Ping Chau at 17:00 pm. If you miss this it, you have to wait 6 more days! 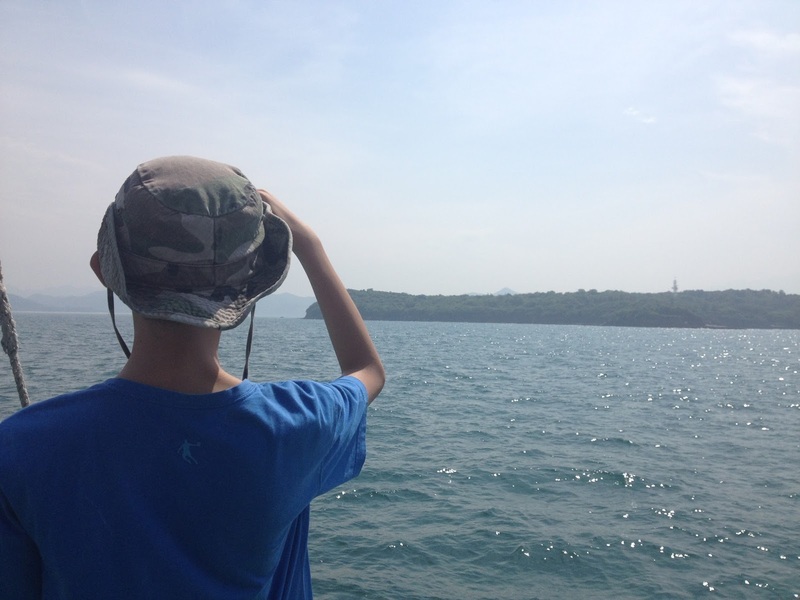 Definetely we will come back to Tung Ping Chau for a deep sea diving next time.